Barcelona has a long and rich history. For centuries it was ruled by the Romans, Visigoths, Moors, Carolingians and others and despite Barcelona’s reputation for its Art Noveau/Modernista architecture, the city has all kinds of architectural elements from every historic period. Bargain hunters and cuisine enthusiasts would also love the city, as it features many good restaurants and shops, and although relatively expensive, cheap places can also be found in the city if you look. The works of Antoni Gaudi are representative of Barcelona, his style is widespread through the city, though, only seven of Gaudi buildings are recognized by UNESCO as world heritage sites. The two works of Lluis Domenech Montaner, Hospital de Sant Pau and the Palau de la Musica Catalana are also recognized as heritage sites. Sagrada Familia. 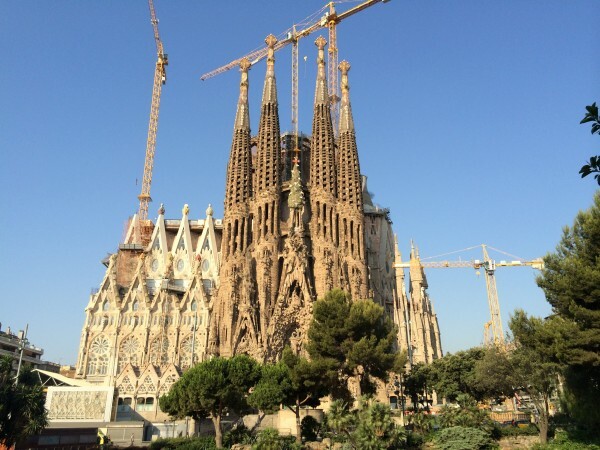 (La Sagrada Familia) Arguably one of Antoni Gaudi’s most well know masterpieces, the construction of this church began in 1882 and is still in progress even nowadays. It is estimated that the church will be completed around 2026-2028. A unique structure, Gaudi himself combined the elements of Gothic style with his trademark Art Noveau style. It is also a popular meeting point for both tourists and locals. The interior is outstanding. Casa Mila/La Pedrera. This exceptionally beautiful building was one of Gaudi’s last works and was constructed between 1906 and 1910. The most distinguished part of the building is the roof, filled with out of common pillars and other elements. The view is also impressive from the top. The interior of the building is also unique and represents the Modernist style . Casa Battlo. 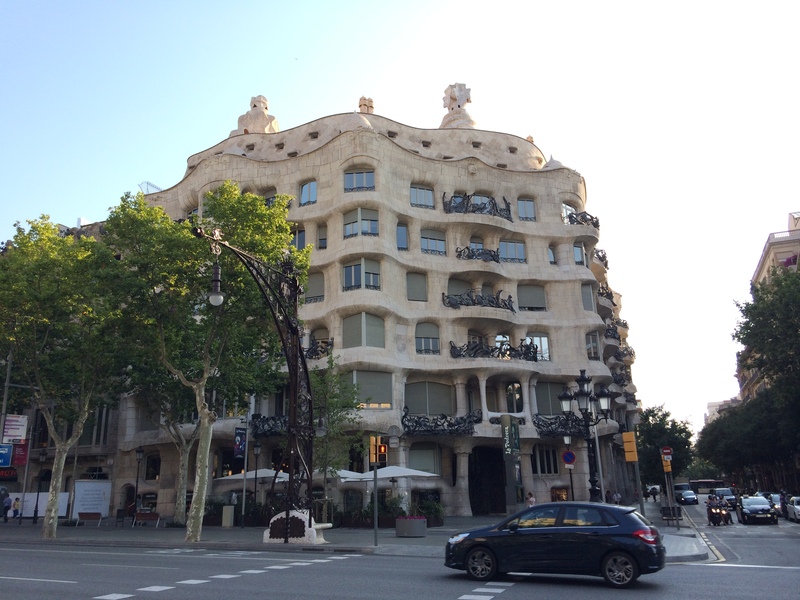 It is said that this is Gaudi’s most unusual building. The oval windows, the tracery and the stone working is irregular and even eccentric. It is a masterpiece of Art Noveau. 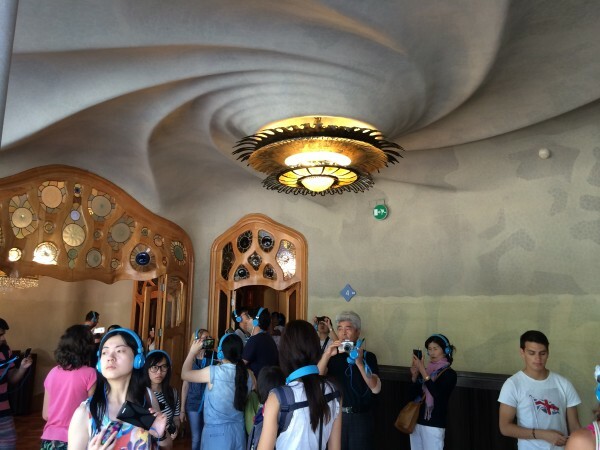 The building is lavishly decorated and has many beautiful rooms.Like in the case of many of Gaudi’s work, the roof is also impressive. 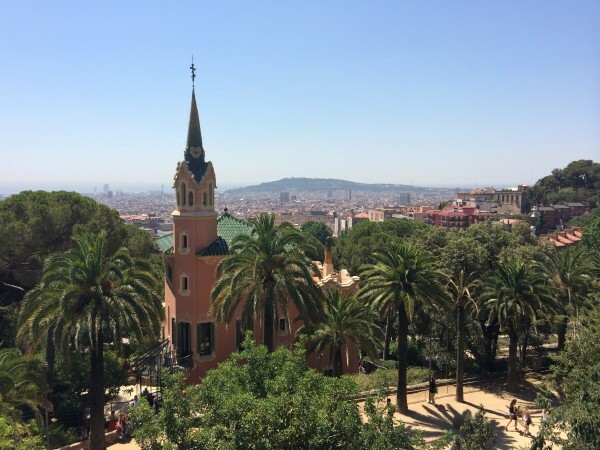 Park Guell. 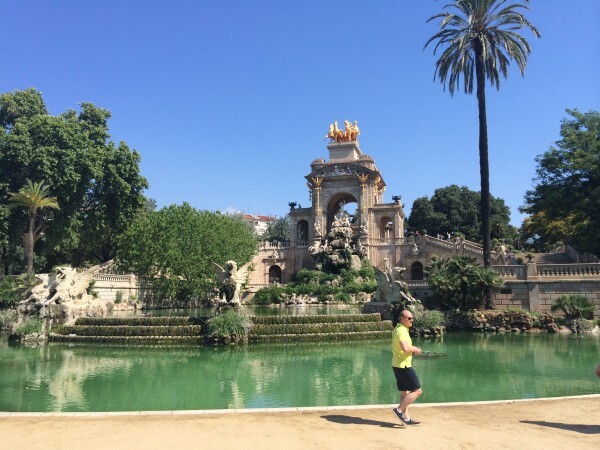 Is one of the most intriguing public parks in the world. It features beautiful Mediterranean flora. It is not only an astonishing natural park but also features many exemplary Gaudist columns and structures. There is an excellent view over the city from the park. This fascinating complex was built between 1901 and 1930. It features opulent modernist architecture and also has a fine courtyard. Despite of being used as a hospital initially – until 2009, today it is used as a cultural center and theater. 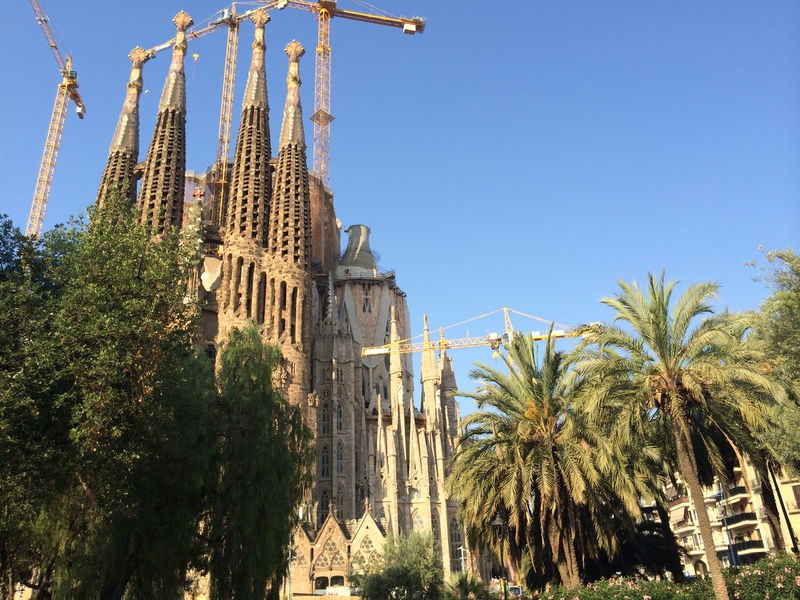 It is close to La Sagrada Familia. 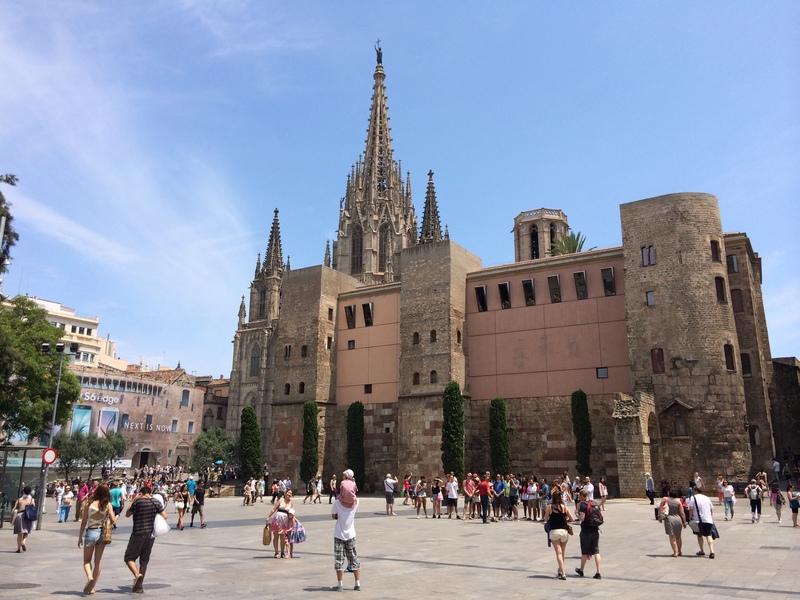 As mentioned earlier, the city is not only famous for its Modernist architecture of the 19th and early 20th century, but also for its many Roman, Moorish and Medieval (especially Gothic), and other monuments. Many beautiful squares, palaces, churches, parks and other historic buildings can be found here. 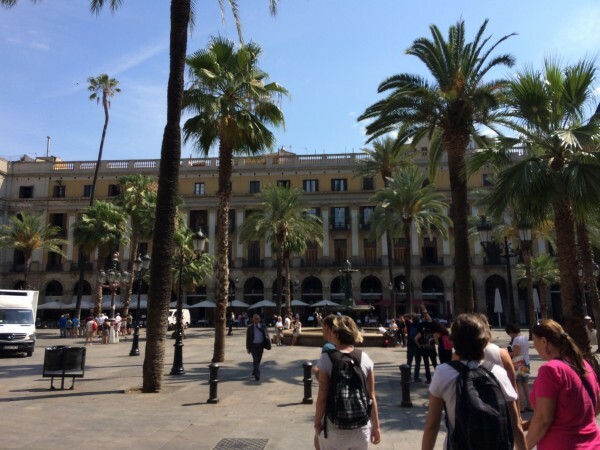 Placa Reial is one of Barcelona’s most popular tourist destinations. 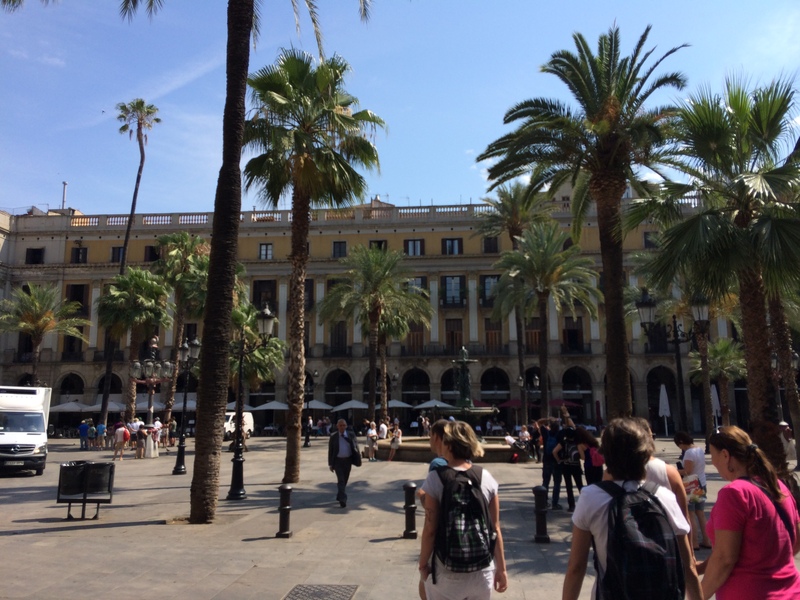 It lies near La Rambla and is also a popular meeting point. 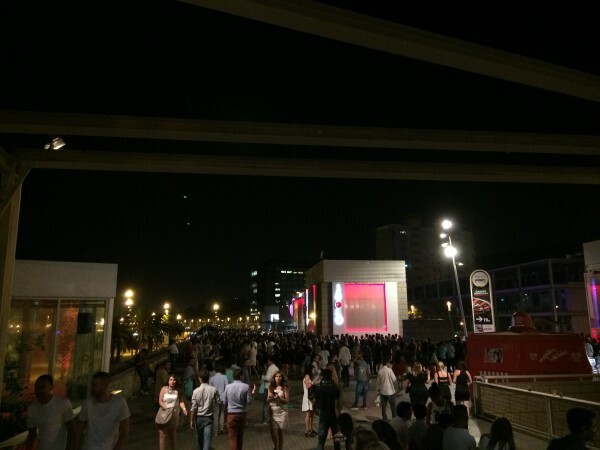 It has a large number of clubs and restaurants. The lanterns of the square were designed by Antoni Gaudi himself. 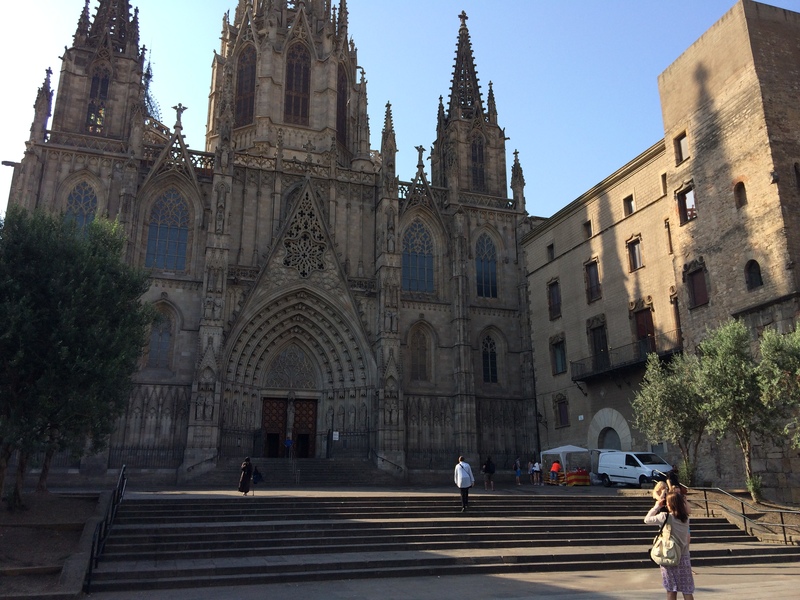 It is part of the El Barri Gotic neighborhood. Barcelona Cathedral. This beautiful place of worship was built between the 13th and 15th century. It is one of the most outstanding piece of Gothic architecture in Spain, featuring many examples of purest elements of the style. The Choir, the main hall, the courtyard, the windows, and basically everything represents the most outstanding level of Gothic style. This site should definitely not be missed. 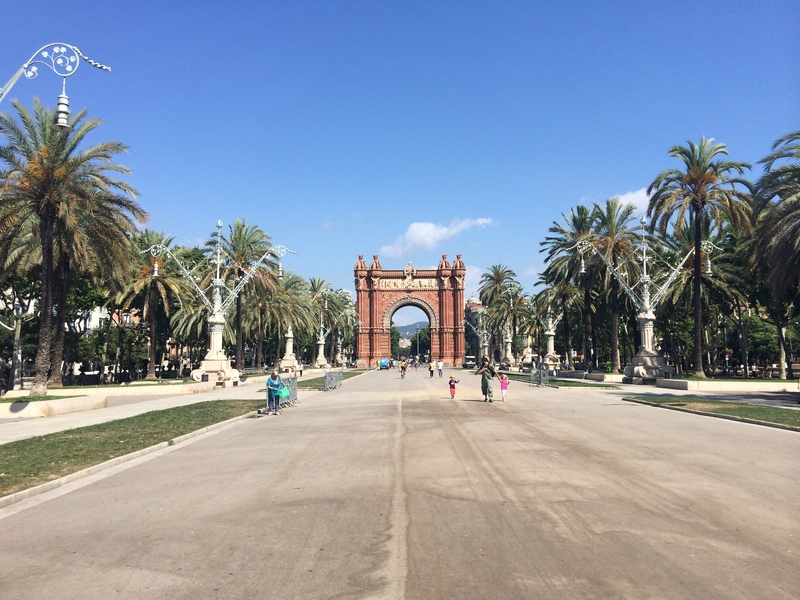 Arc de Triomf. Compared to other arches from all around the world like Paris, Bucharest, Brooklyn and so on, this arch is very out of common due to its bright reddish brick color and style called Neo-Mudejar. It also faces a beautiful park and surroundings. It was designed in 1888 by Josep Vilaseca I Casanovas. Parc de la Ciutadella is a complex garden filled with little lakes, smaller gardens and an extravagant fountain with beautiful trees and other vegetation. The main attraction, however is the city zoo. Oddly said, from that Zoo many parrots have escaped and nowadays you can see parrots all around the city flying. 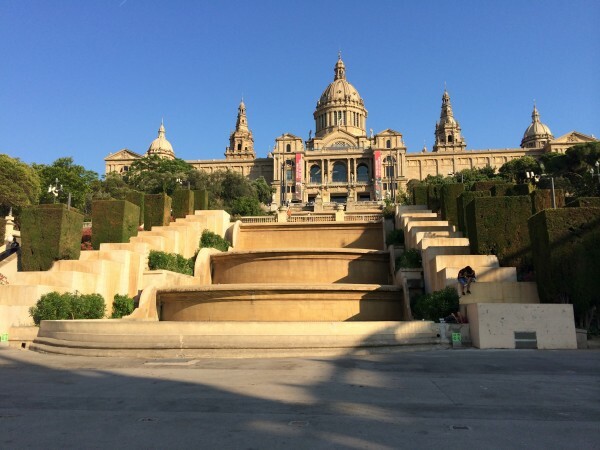 Museu Nacional d’Art de Catalunya. Although seems to be a venerable complex, it was actually established in 1934, being a modernist monument. Nevertheless, it is a very beautiful building with an extraordinary view and an impressive fountain. 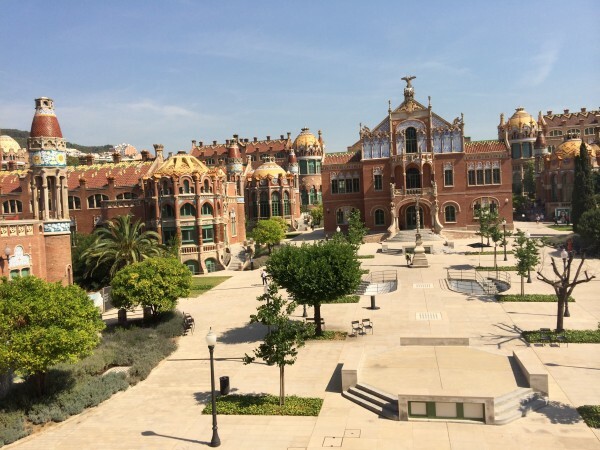 It houses many fascinating Catalan and Spanish art. 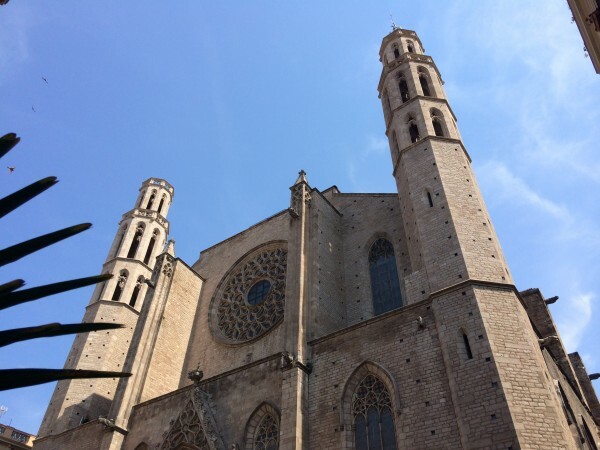 Santa Maria Del Mar is the purest example of 14th century Catalan Gothic architecture. It is one of Barcelona’s most intriguing buildings. The interior is huge, wide and extraordinary even for a large medieval building. The square where the church lies also has many beautiful houses, cafes, restaurants and bars. Barcelona has the reputation for having one of the liveliest nightlife in Europe, clubs can be found throughout the city but the most famous nightlife districts are Port Olimpic and La Rambla. What I really loved about the scene was that you had all kinds of clubs with every music style, people and everything you need for a great party.